14K Rose Gold Necklace, 13"
High-end, diamond cut cable style chain in 100% 14K Rose Gold. 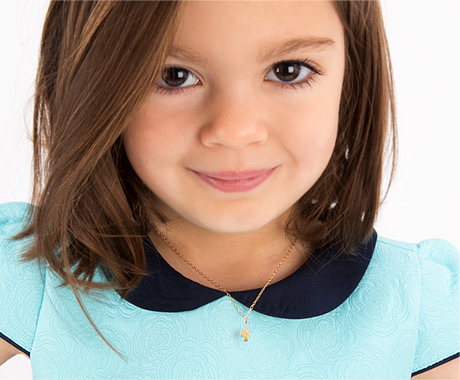 As with all of our products, this chain is nickle-free and hypoallergenic, safe for your little girl. Purchase separate pendants and charms to slide off and on to customize a look just for her!